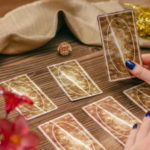 In my last blog post — Tarot Basics: Numbers — we looked at what each of the numbers mean in the Tarot. Now, I want to talk about the suits of the cards — Pentacles, Swords, Cups and Wands. Each of these suits carries a lot of information on their own and is very rarely harnessed in the beginning. Each have an element that it is associated with, and that element can be interpreted to give information. In addition to that, they also work with particular astrological signs that can be interpreted as well. 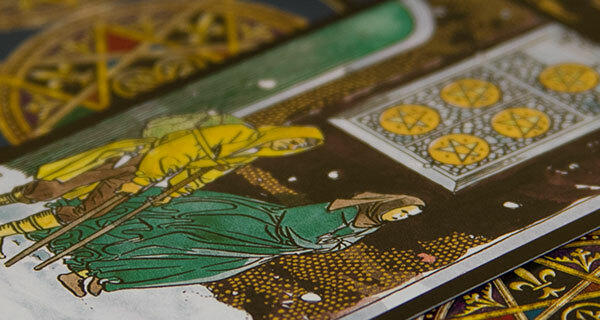 With just these simple understandings, you can already begin to interpret the Minor Arcana cards! If we look at the “2 of Cups” what can you tell about the card already? So string it together and see what happens: the “2 of Cups” talks about balancing the emotions! Now here is where the word association comes in… see what other words that you can think of that talk about emotions and balance and string them together with the original interpretation that I gave here…see easier than you thought right! With all of that, you already have a base understanding on how to read all of the Minor Arcana cards of the Tarot. This means that you can take all of the Minor cards and do a reading with them using all of the information that we just went through. As I said before as well if you want to at some point look further into the cards then you can get the definitions of each and go even deeper into the reading. This is a good start off point and is so fun and easy it will really allow you to experience the Tarot more fluidly. Now I said that I was going to go over reverse meanings as well so here it goes. If a card comes up reversed, it has the same meaning as it does upright only it is manifesting slower than normal. So you give the same meaning and tell the person that you are reading that it is manifesting slower. Also it is good to know that the Minor Arcana represent all of the day-to-day things in our lives. You can also look at the full reading once it is done and see what suits have more than others. If you have more Cups than other suits, then the person is working on emotional situations. If it is more Wands then it is more physical. Swords, they are focusing more on mental energy and communication. Pentacles focus more on material things or spirituality. Hi: My daughter-in-law is a Taurus and she is so deep into the books by Sylvia Brown. She quotes her chapter and verse. Hi Jen: You can find books on the Sabian Symbols at any metaphysical bookstore or begin by Googling them. 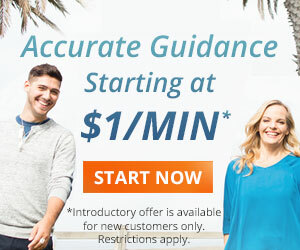 Also, any site offering the various spiritual tools we all use as we travel our path. The Lleweyllan site I believe has some offerings. 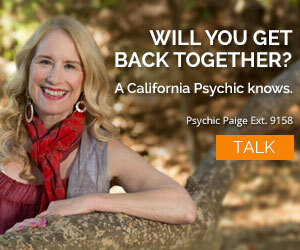 Also, as you mentioned it might be an interesting topic or Blog for California Psychic site. The Sabian Symbols really take you deeper into your chart as they dissect each degree as it pertains to one’s chart. It’s like having a zoom lens after looking at the chart with the naked eye. Thanks for your interest and I do believe you will find the symbols truly revealing. Peace Be! Jaela: Are there any particular (or favorite) spreads that you might be sharing in your blog? Just curious what you might use to get a snapshot of what is going on with the querent. Particularly since time is limited on a phone call with a client, I imagine that you would have to use a “streamined” method that gets to the point quickly. Again, I thank you for sharing your Gift. Sincerely hope that, to paraphrase St. Francis, “in Giving of Yourself, that You Receive”. That’s so interesting. I’ve never heard of the Sabian Symbols, that would make a good blog post! Where can I find info on that? Thanks for your reply, and as you said, a person’s chart is really the whole picture, including the Sabian Symbols,which I rarely see discussed anywhere, but which is a mountain of information in regards to any chart. The Sabian Symbols are the degrees of any placement in a chart – eg: I am a Gemini, 29 degrees, etc. If you are a student of Astrology, I really suggest investigating them. It’s like looking at a chart with a better microscope than the human eye. As for Taureans, they are fine and well, until…..you take away something they believe is theirs. Like you said, the key lies in the chart. I’m sure you know Scorpio is your polarity sign, so you must have a very interesting chart. Also, the transit of Pluto is a long one and I would agree that it could be a generational thing. As for meeting Taurus people, that is easy, but the layers we all wear only come off with time, and for me, I run in the opposite direction in regards to Taurus people. They just have to control the situation on all levels and I can’t accept that. Thank you so much for taking the time to explore my Tarot blog, I really am so glad that you are enjoying it! I think it helps the “newbies” to learn when they slow down a bit. Nice to see you on our blog! I had to jump in on this one because I myself am a Taurus and I’m SUPER into spirituality and the mysterious. Like you said it depends on so much more than the sun sign. For me, I just looked at my chart, and the one placement that really stuck out was my Pluto in Scorpio. I have a lot of Scorpio actually. Pluto in Scorpio means a fascination with death, spirituality, past lives, etc. I was born in 1985 and it says that Pluto in Scorpio is a 12 year group of people…so perhaps it is a generational thing? Hope you find the info you need… and that you meet some cooler Taurus people lol! Jaela: Very glad to have found this “installment” after having read your first Basic Tarot blog entry. After working with your method, and by drawing a card daily, I think that it’s FINALLY taking shape. Still a long way to go, but you’ve gotten me a LOT further along than I was. Many thanks to you. Especially appreciate your explanation of reversed cards. 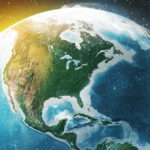 That helps to widen the “vista”; and, I think, can bring focus to those areas where I/we might need to concentrate our energy and effort (regarding the situation in question during the reading).